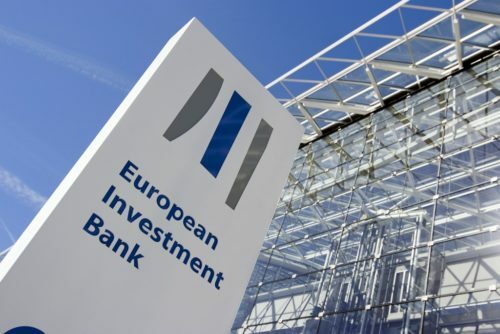 Send 'European Investment Bank (EIB)' vacancy to your friends! Our expertise is based on more than 50 years’ experience and the specialised knowledge of over 3000 staff. As the largest multilateral borrower and lender by volume, we provide finance and expertise for sound and sustainable investment projects which contribute to furthering EU policy objectives. More than 90% of our activity is focused on Europe but we also support the EU’s external and development policies. We support projects that make a significant contribution to growth and employment in Europe. As part of our counter-cyclical approach, our activities focus on four priority areas: innovation and skills, access to finance for smaller businesses, environment and climate, infrastructure. For many of us, the greatest reward is to contribute to the development of the EU and beyond. By joining the EIB you will have the opportunity to participate in a wide range of projects fostering Europe’s growth. Based in Luxembourg, with a network of local and regional offices in Europe and beyond, we offer a pleasant and interesting work environment where people can achieve their professional goals while maintaining work-life balance; with excellent professional development opportunities through training, internal mobility and merit-based career growth. We believe that diversity is good for our people and our business. As the Bank of the European Union, we are committed to EU objectives and values. We promote and value diversity and inclusion and believe that the blend of genders, ages, nationalities, skin colours, cultural and professional backgrounds and a wide range of experiences are essential to the success and development of the Bank and reflect Europe itself. To further our diversity efforts, we particularly encourage women and candidates with disabilities, who are nationals of the EU Member States, to apply. Gender equality is one of the founding values of the European Union and a key objective of the Sustainable Development Goals. It is also smart economics: the role of women and girls in development is vital. Greater gender equality stands to enhance productivity, improve development outcomes for the next generation and make institutions more representative. In December 2016, we approved the first EIB Group strategy on gender equality and women’s economic empowerment. The strategy, “Protect, Impact, Invest” aims to embed gender equality and women’s economic empowerment in the EIB Group’s activities, covering lending, blending and advisory activity both inside and outside the European Union. The Gender Strategy took effect in January 2017 and is being implemented in a phased manner. A Gender Action Plan aimed at guiding implementation will be elaborated over the course of 2017, defining the milestones, prioritisation and phasing of activities. Achieving gender parity is a key element of the Sustainable Development Goals which were launched in 2015. The Goals recognise the need to take many more steps to ensure that women across the globe can fulfil their potential. Investing in women is one key way to ensure that their ambitions become a reality. In developing countries over 70% of female-owned SMEs are underserved by the finance system. Finding investors who are prepared to invest differently and focus on female entrepreneurship must be a priority in developing countries and beyond. Across Europe only 30% of entrepreneurs are female. The first EIB backed Microfinance operation in Jordan for EIB, made possible by EU grants. The fund is helping low-income women engage in economic activity with small loans and technical assistance. The fund has recently launched a Microinsurance product. Watch the video to find out more.